Have you ever met someone so obsessed with Disney that they had all the Disney clothes, movies, soundtracks, and even went to Disney World as often as humanly possible? Well, that’s me. And if you haven’t met a person like that yet, allow me to introduce myself. Disney is my middle name (not really, but wouldn’t that be cool?!) and so writing about it is…well, easy. I come by all of this honestly, FYI–my mom is just as Disney-ified (that’s not a word but it’s going to be used in my posts, so get used to it) as I am. So with that, I’m going to introduce you to one of my favorite Disney rides of all time. 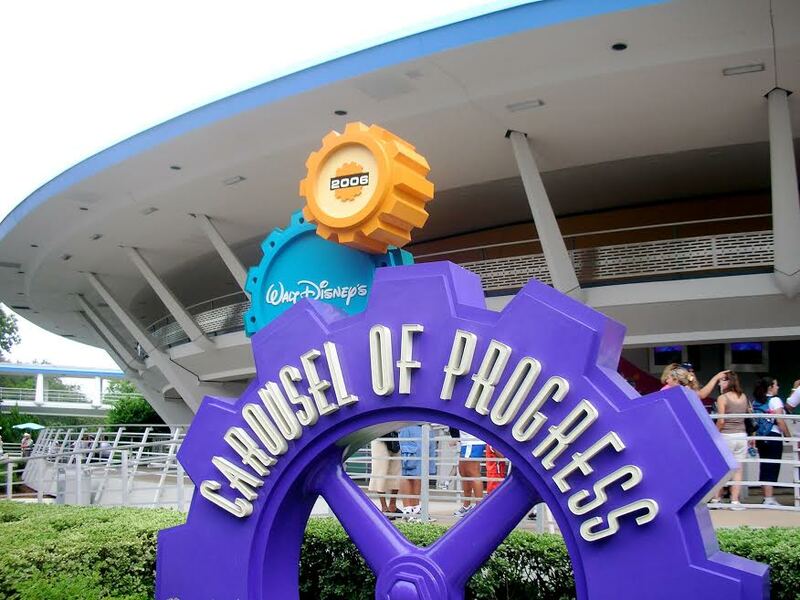 This ride was originally created for the 1964 World’s Fair in Chicago by Walt Disney himself. Part of the reason I love it so much is that I know this was something that he had his hand on–something original, something wonderful. I never go to Disney World without riding it, and while some people find it outdated, I find it amazing. 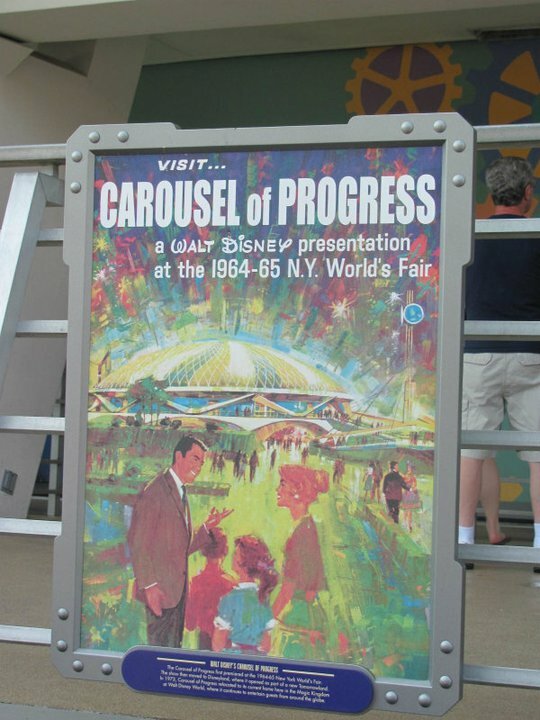 The Carousel of Progress is a moving theater. You walk in and sit down, and after each scene, the entire theater moves and you are taken to the next scene. Each new scene is a different time period. It starts out with the beginning of the 20th century. This scene shows things such as gas lamps, an ice box, and a hand-cranked washing machine. The second scene takes place in the 1920s. During this act, we see electric lights, cookware, and a sewing machine. This ride has a theme song, There’s a Great Big Beautiful Tomorrow, that was written by the Sherman Brothers, of Mary Poppins fame. This song plays throughout the ride starting with the first scene and going through to the last. The video below features the Sherman Brothers and Walt Disney singing the theme song together. While some may consider this particular attraction outdated and not worth their time, I can never go to Disney World without sitting down and watching the show. Because, there’s a great big beautiful tomorrow…shining at the end of every day. There’s a great big beautiful tomorrow…and tomorrow is just a dream away.